However, the study which is published in the BMJ Open online, found these effects did not apply before the age of 40, suggesting that the association with volunteering may be stronger at certain points of the life course. The results also point to the need for further efforts to engage middle aged and older people in volunteering activities. Researchers from the Southampton Statistical Sciences Research Institute and Birmingham’s Third Sector Research Centre reviewed over 66,000 responses by British adults to questions posed through the British Household Panel Survey (BHPS), now part of the UK Household Longitudinal Study called Understanding Society. The original Survey, which ran between 1991-2008, asked a range of questions on leisure time activities including the extent of formal volunteering. The Survey also included a validated proxy indicating mental health/emotional wellbeing known as GHQ-12. Around 21 per cent of respondents said they had carried out some kind of formal volunteering activity with women tending to volunteer more than men. Across the entire sample, the average GHQ score was the best (lowest) among those who were frequent volunteers and worst (highest) among those who never volunteered. When age was factored in by the research team, the positive association between volunteering and good mental health and emotional wellbeing became apparent at around the age of 40 and continued up into old age (80+). The researchers found that those who had never volunteered had lower levels of emotional wellbeing, starting at midlife and continuing into old age compared with those who did volunteer. Previous research has indicated that volunteering in older age is associated with better mental and physical health, but it was unclear whether this extends to other age groups until now. The findings held true even after taking account of a range of potentially influential factors, including marital status, educational attainment, and social class. 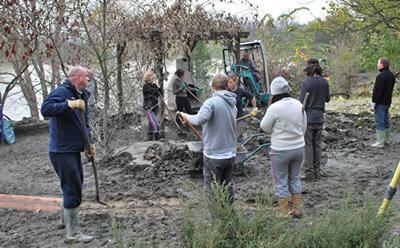 The researchers were not able to gauge the extent of ‘informal’ volunteering, such as helping out neighbours so couldn’t capture the full spectrum of voluntary activities. The study was supported by funding from the Economic and Social Research Council (ESRC) UK, the Office for the Third Sector and the Barrow Cadbury Trust through the Third Sector Research Centre (TSRC).